Mortgage Interest – It’s On The House! It’s not often that a tax planner gets a freebee, so I’m just giddy about this one! A recent tax court case and a related CRA opinion both give a detailed description of a tax plan and both say it’s OK! Let’s say you have a home that is mortgage-free. You’ve decided to buy a new home, and convert your old home to rental property. 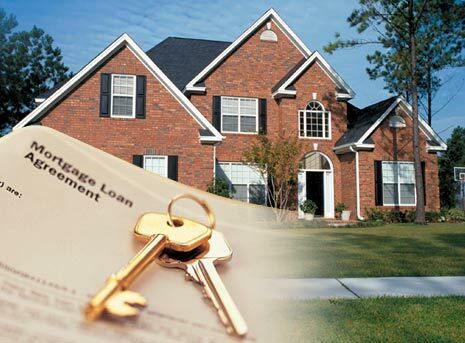 If you simply move out and purchase a new residence and take a mortgage to finance it, the interest on that mortgage will not be tax-deductible, since the proceeds of the loan are used to purchase a residence. Meanwhile, your rental property (your former residence) is still mortgage-free – not the best result. So, here’s the plan: First, sell your existing home at fair market value to someone you trust – let’s say it’s your brother. Your brother pays you with a promissory note. There is no income tax on the sale, because the property was your principal residence. Next, Buy back the old home from your brother. To finance this purchase, you take out a mortgage on this home. Now that the home is to be used as a rental property, the future interest payments will be tax-deductible. The mortgage proceeds go to your brother as consideration for the sale of the property back to you. He then uses these funds to pay off the promissory note he issued to you when he bought the old home. You now have the funds from the promissory note in your hands. You can use this money to buy yourself a new home. The Tax Court of Canada, in the case of Sherle v. The Queen, actually volunteered this plan as a way to make mortgage interest deductible in the above scenario, and the CRA approved it in a recent technical interpretation. There you go — it’s on the house!